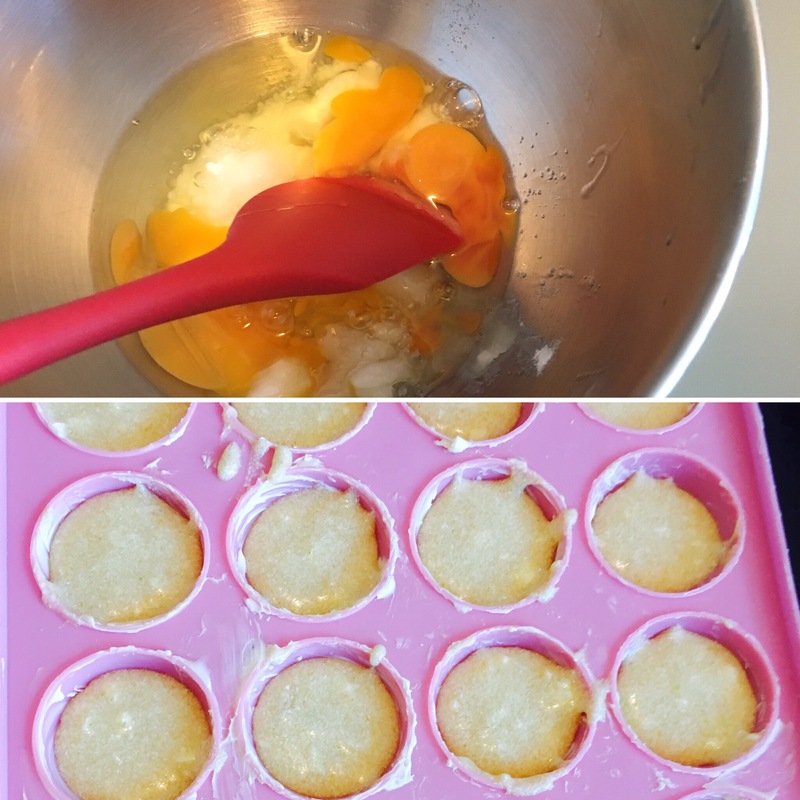 Grease the cake pop moulds using diary free spread. Put one teaspoon of mixture into the moulds, put the lid on and place in the oven. 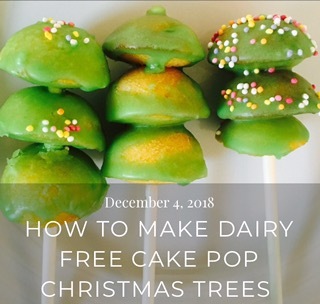 (We found that this amount meant they stayed in just one half of the cake pop mould making them a great shape for each part of the Christmas tree. 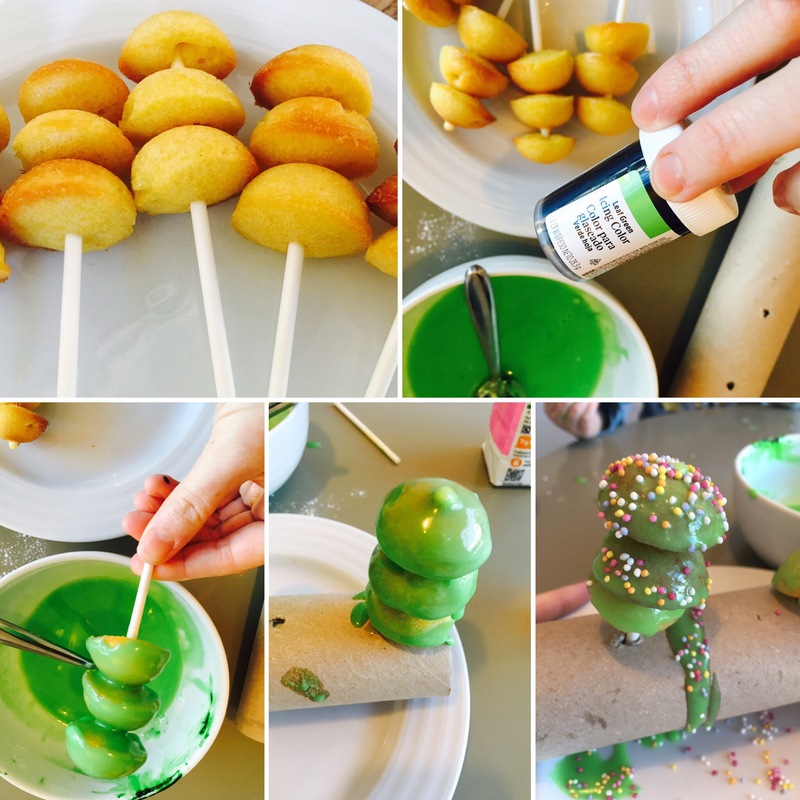 Put 3 of the half sized cake pops onto each cake pop stick. 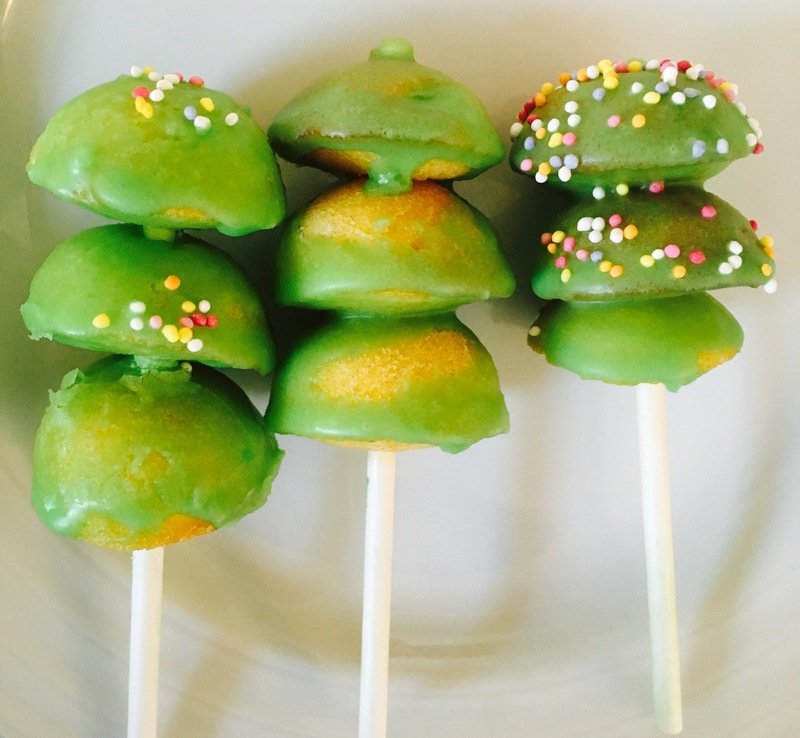 Once cooled, mix the food colouring, icing sugar and a drop over water together to make green icing. 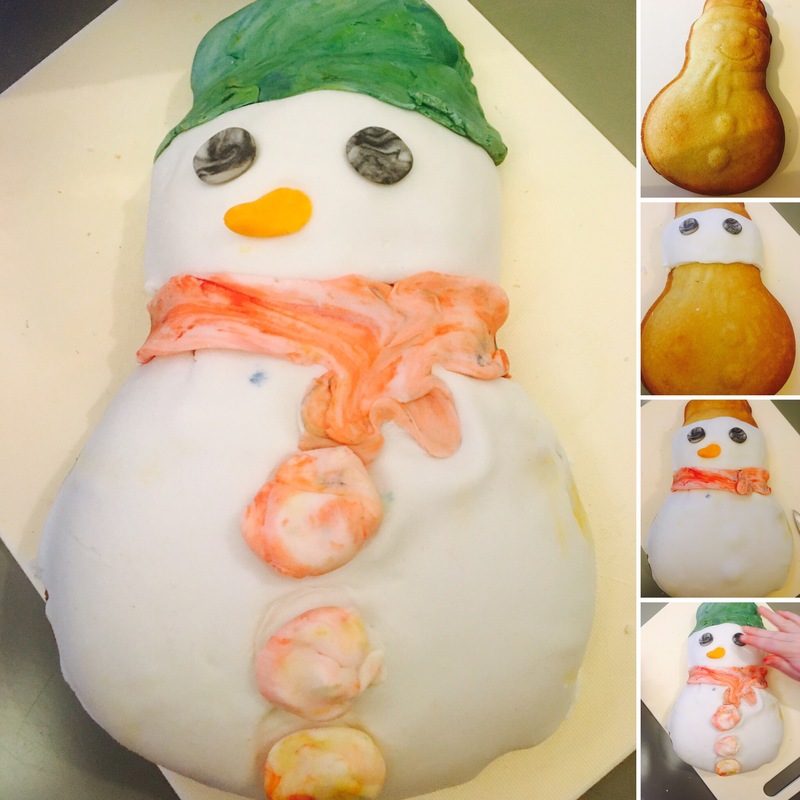 Let the kids enjoy dipping them in the icing and covering them. Thanks so much! They were eaten very quickly ! Barely let me take the photograph !! They look brilliant – nice to bake something different.